In yet another instance of collaboration between scientists and doctors, Indian Organisation for Rare Diseases (I-ORD) was formed earlier this year to sensitise policy-makers and convince pharmaceutical industry to focus on the problem of rare diseases in the country. 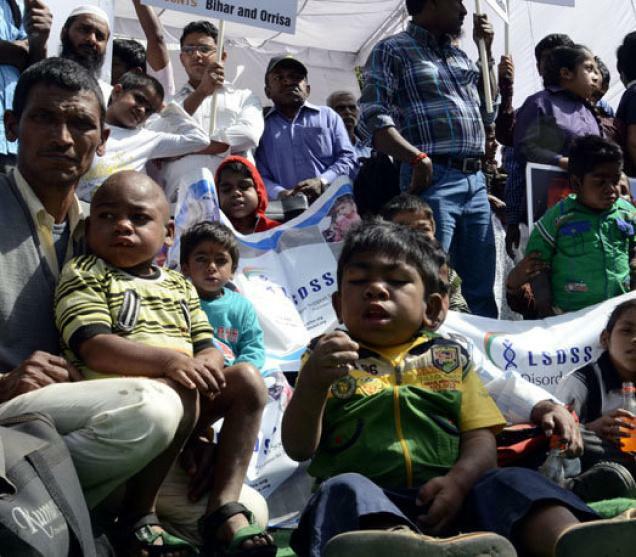 The magnitude of the problem due to rare diseases is not small — approximately one in every 20 persons suffers from a rare disease, according to Dr. B. Srinadh, one of the coordinators of I-ORD and an expert in fatal medicine and reproductive genetics. He said the rare diseases comprise many birth defects, genetic disorders, certain medical conditions and uncommon infectious diseases. Every year, 17 lakh children are born with various types of genetic diseases and birth defects in India alone, while more than 80 lakh are born worldwide. And in almost all cases, they would have to deal with life-long chronic illness. As a result, mortality remains high in this group compared with others, he added.With the recurrence of new cases every year, the number of children with rare diseases crosses one crore mark in a decade in the country and increases the socio-economic complexity, Dr. Srinadh said. Dr. Lakshmi Rao Kandukuri, principal scientist at the Centre for Cellular and Molecular Biology (CCMB), Hyderabad, and who has been working on genetic disorders for the past 20 years, is also one of the coordinators of I-ORD. She emphasised the importance of having a strong network between geneticists and medical practitioners to collaborate on the project. “Rare disorders are really ignored. There is a lot to do”, she added. Plans are afoot to involve scientific institutions from all over the country through Union Ministry of Science and Technology to hold interactive sessions between scientists and medical practitioners to come out with innovative solutions. The sessions would focus on rare cardiac diseases, genetic diseases in ophthalmology, nephrology, orthopaedics and ENT, among others. Dr. Srinadh said there was also lot of ignorance about these conditions among medical practitioners, while pharma sector was simply not interested in rare disorders as it was non-profitable. “The net result is patients are suffering due to lack of service in public and private sectors”, he added. He said I-ORD has decided to increase awareness among people, sensitise policy-makers and pharma to focus on these diseases as part of social responsibility, promote more interactions between scientists and doctors and establish a centre for innovative scientific interactions.